Two weeks ago I spoke at LinkedIn's SalesConnect Conference in San Francisco. 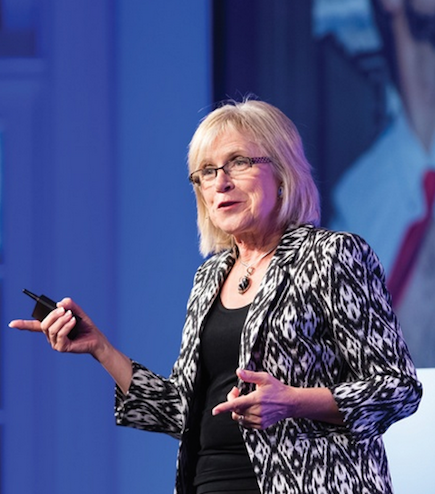 Over 500 sales leaders came to learn more about leveraging LinkedIn to drive revenue. Sales professionals who use social selling are 51% more likely to exceed their quota. Got your attention yet? I sure hope so. At this point, you're probably asking, "So what exactly is this 'social selling' thing?" 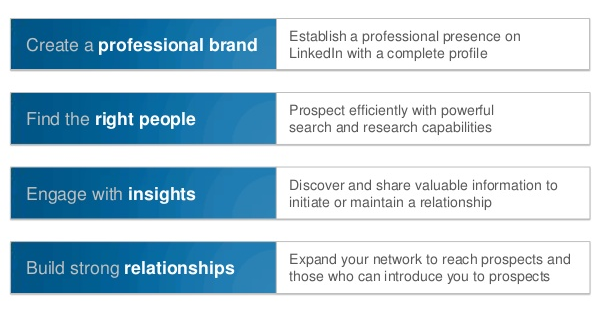 According to LinkedIn, the primary components are in the graph below. As you look at it, think about them as a rating scale – your Social Selling Index. Each area is worth 25 points, with a total maximum score of 100. Be honest. Think about how well you're doing. And ... check out the scoring under the graph. Clearly, we all have room for improvement. I'll be focusing more on that in upcoming posts. Keep your eyes open for ways you can get better with social selling. In my next post, we'll take a look what makes a good LinkedIn profile.